This is certainly a first: a comparison between a healthcare-focused technology company and a nonfiction picture book about a comic book writer. At the time I was working on what became Bill the Boy Wonder: The Secret Co-Creator of Batman. It is always great to see a CEO promoting having fun at work. It was great that Jonathan’s way of demonstrating that for this cover was by dressing up like Batman. Even I haven’t done that. (Robin, that’s another story.) The cover also struck me because the superhero known for pulling open his shirt to reveal his emblem (to the reader, not the public) is, of course, Superman, not Batman. But what made this blogworthy for me was the fact there were two other incidental connections between this company and my book. 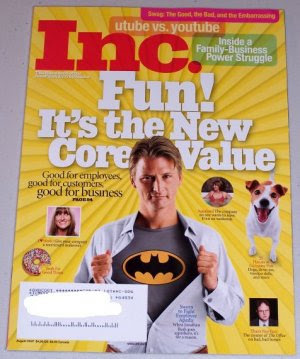 First, athenahealth is based in Watertown, MA—as is Charlesbridge, publisher of Bill the Boy Wonder. Second, Bill’s granddaughter—his lone, previously unknown heir—is named Athena. I reached out to Jonathan, who kindly responded. I sent him a book. Perhaps that will in small part contribute to the fun work atmosphere he is fostering.